How Did the NeuroMovement® Method Evolve? Anat Baniel Answers: How Did You Get Here? 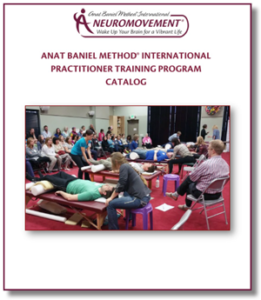 The Method developed by Dr. Feldenkrais is the platform from which Anat Baniel Method® NeuroMovement® has evolved. 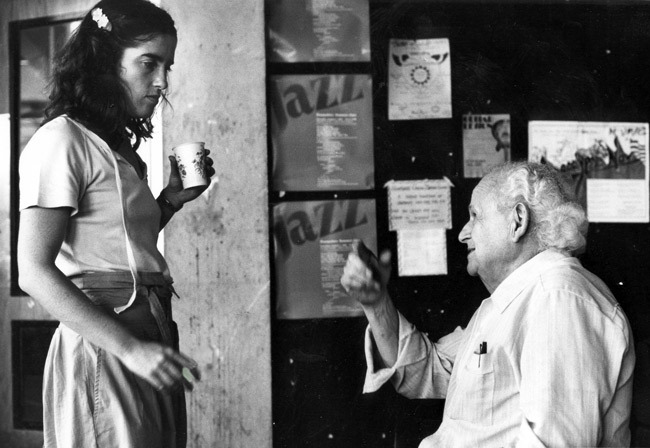 Anat Baniel’s studies and her work with Dr. Feldenkrais have had a profound impact on her thinking and practice. Learn more about Dr. Feldenkrais and his Method. Early on, Anat Baniel understood the remarkable potential of the human brain to change, at any age. She saw firsthand how her techniques and approach transformed the ability of children and adults to move, think, feel, overcome challenges, and reach new levels of performance often believed to be impossible. What was it about what she was doing that generated such miraculous changes in her clients? What are the conditions that awaken the brain to reach new potentials and levels of performance? Through Anat Baniel’s extensive and highly successful experiences with thousands of adults and children the world over—from high-performance athletes, business people, scientists, and musicians to people with neurological trauma and tiny babies and children with severe developmental challenges—Anat Baniel has identified fundamental principles of brain change that she calls the 9 Essentials. These principles are validated by brain research. Today, many certified ABM NeuroMovement® Practitioners use the same knowledge to powerfully transform the lives of their clients and children, as well as their own lives. NeuroMovement® provides practical, easy-to-use tools that will catapult you to new levels of cognitive, emotional, and physical performance. Try the 9 Essentials today—download our free eBook. 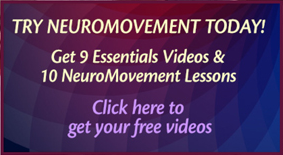 This NeuroMovement® approach is revolutionary, yet the 9 Essentials can be adopted by anyone for daily life, or professional use. The 9 Essentials and NeuroMovement® can also guide professionals in creating groundbreaking practices in diverse fields such as rehabilitation, education, and health and fitness. More and more leading neuroscientists, medical doctors, educators, therapists, and integrative medicine practitioners are taking interest in NeuroMovement® as a source for practical methods that match the most advanced knowledge of brain function. Anat Baniel continues to evolve and refine her method; it’s a live and dynamic process. 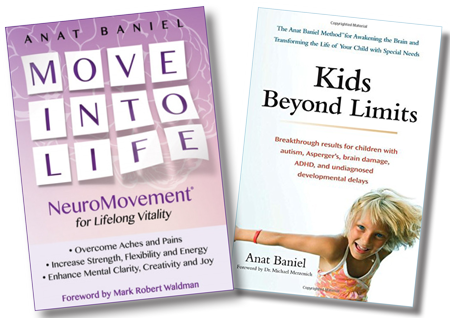 Anat has also written two books: her bestselling Move Into Life: NeuroMovement® for Lifelong Vitality and Kids Beyond Limits that continue to reach people worldwide. Get free chapters of Anat’s books, and sign up for news and events. unlimited possibilities in your life!